Because secondary prevention of fragility fractures is still a challenge in Spain today, where the appearance rate of new fractures continues to grow every year, Lilly contacted Grupo SANED to roll out a project showing the need for secondary prevention of bone fractures. The aim of this documentary was to take a different approach to this and other challenges facing orthopaedic surgeons today. 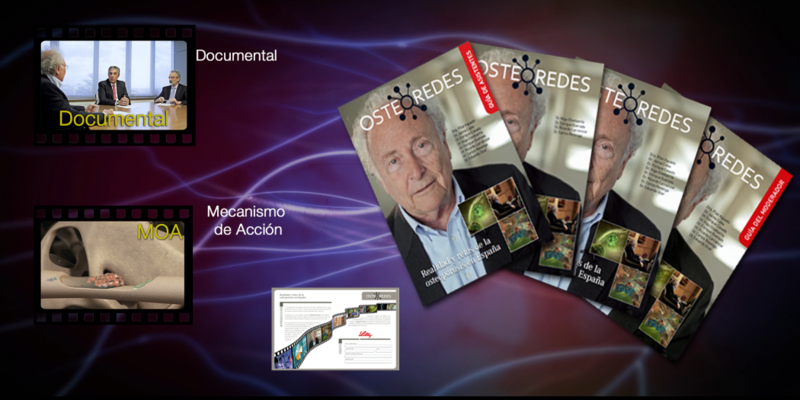 Grupo SANED decided to make a documentary narrated by science commentator Eduard Punset that would look at Osteoporosis from different perspectives, with contributions from various rheumatology specialists and orthopaedic surgeons. The project was a clear success and the documentary was screened at more than 200 meetings.